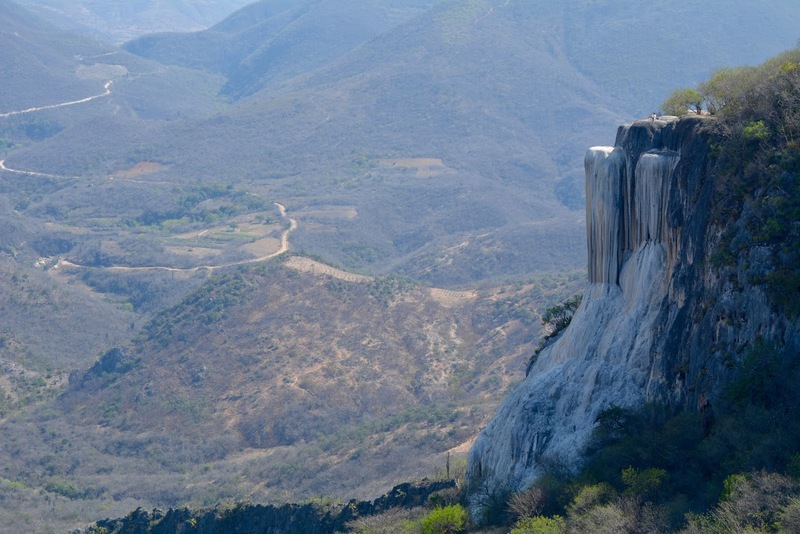 The easiest way to see multiple sights in one day is on one of the many small van tours that hit the major locations around Oaxaca. 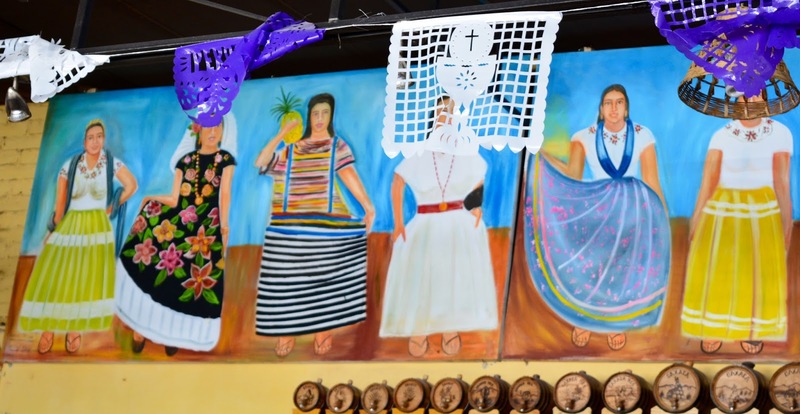 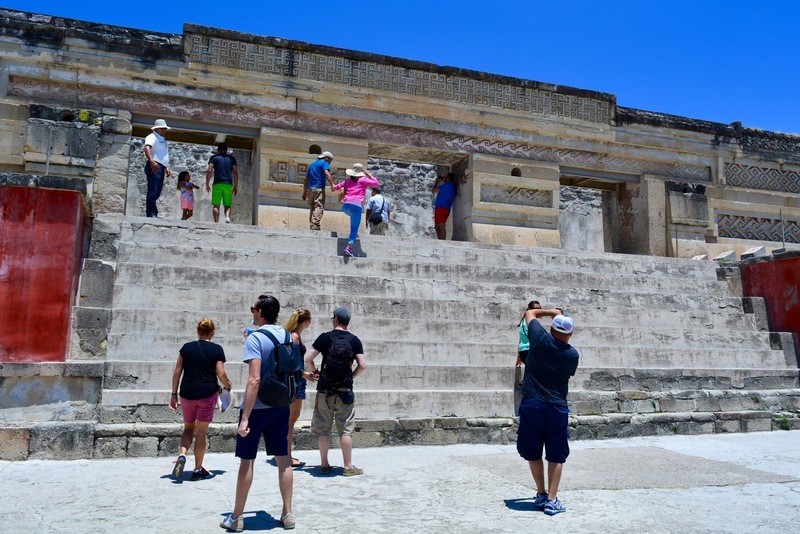 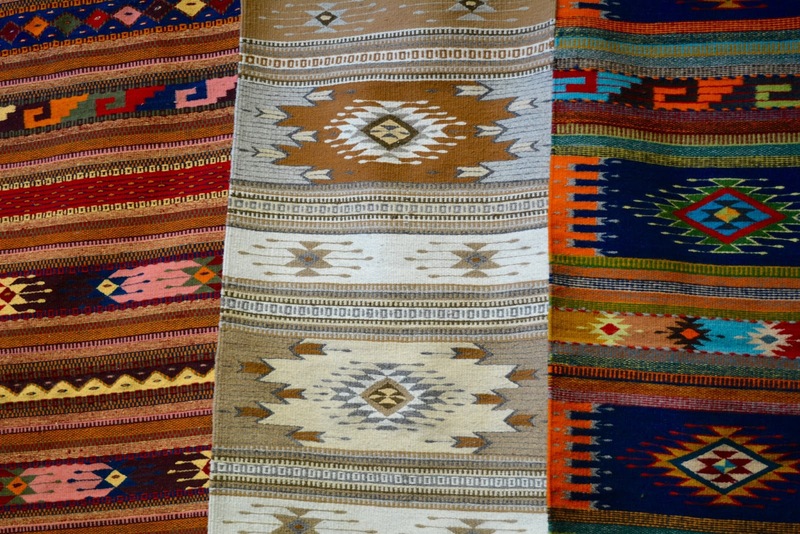 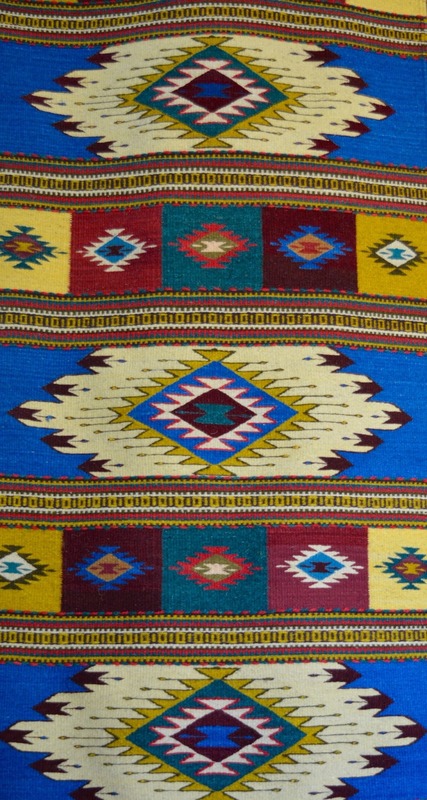 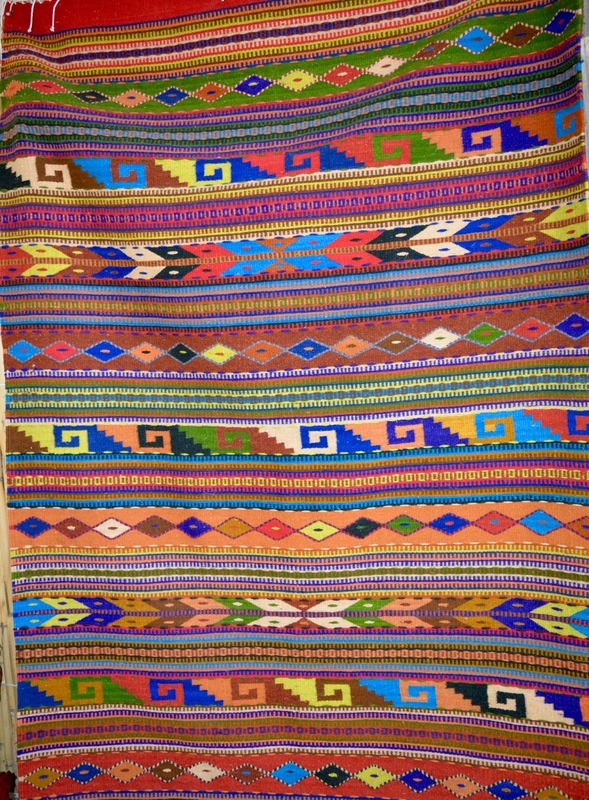 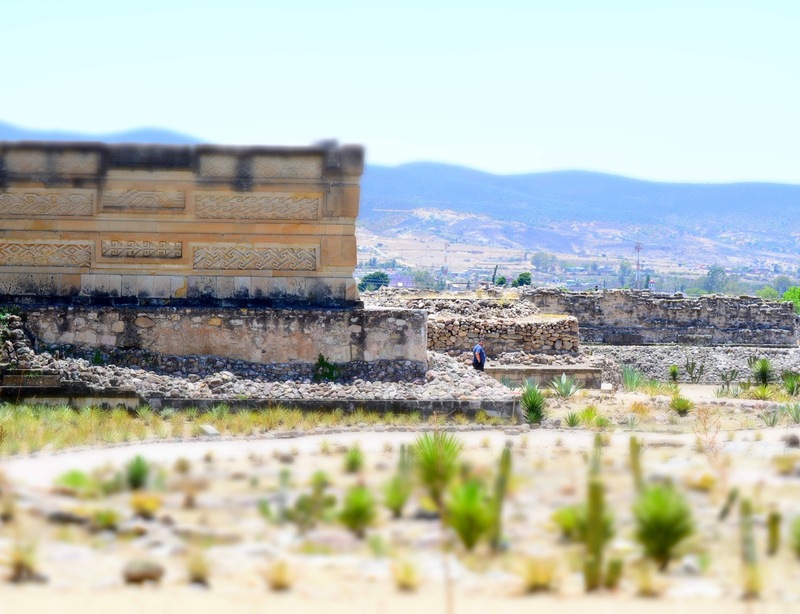 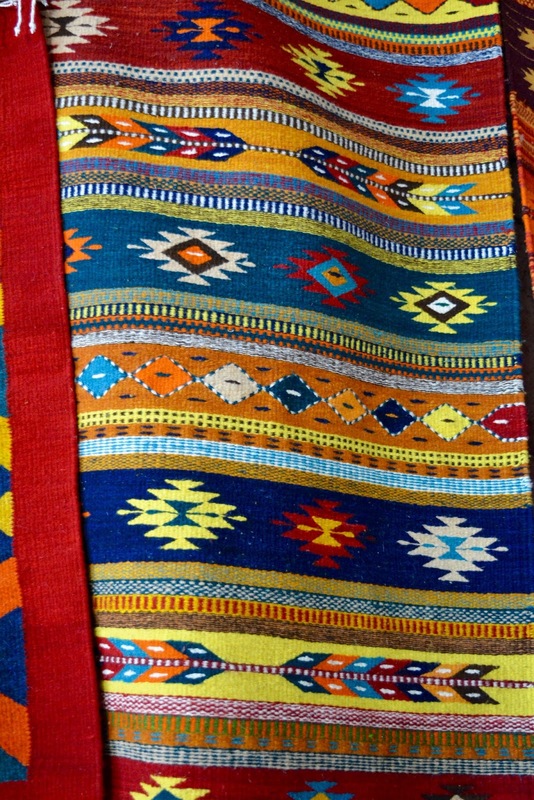 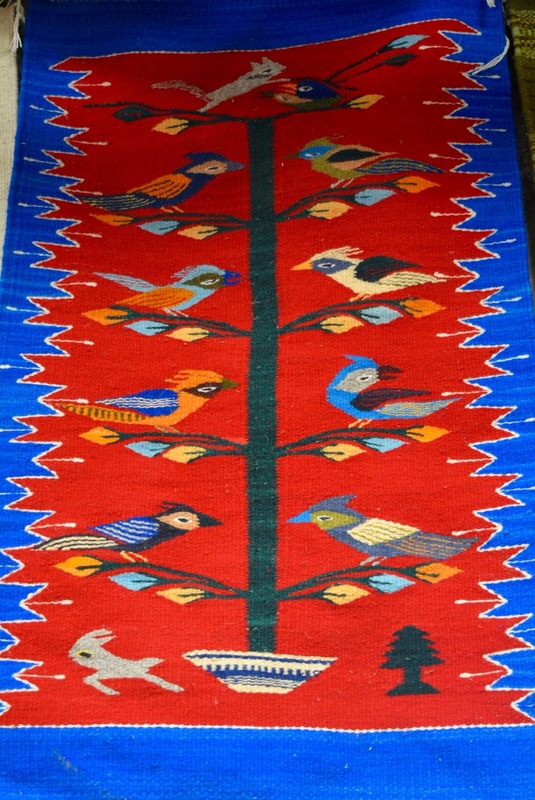 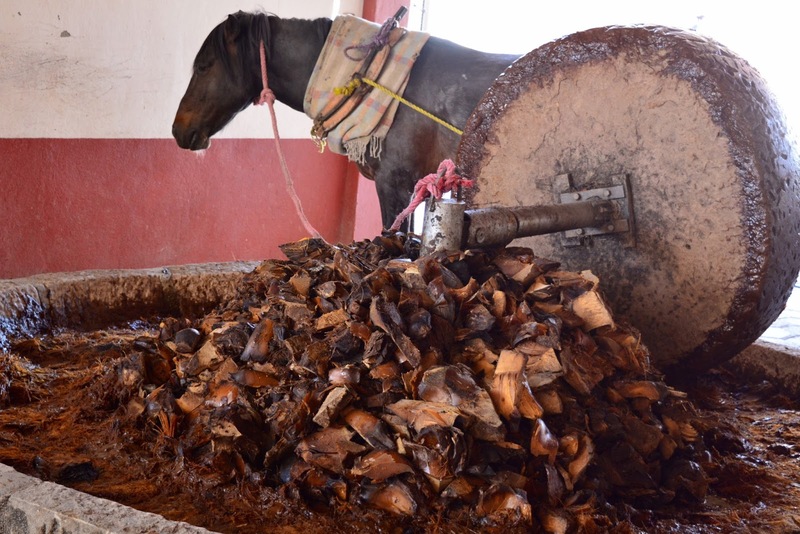 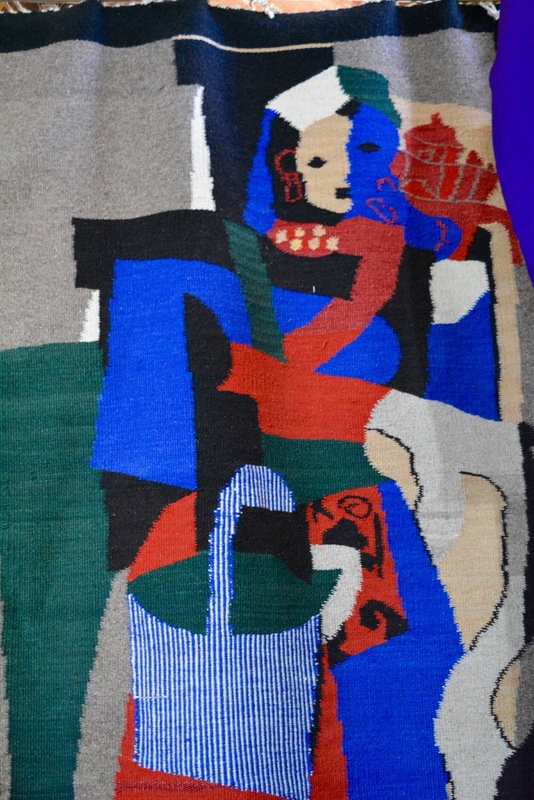 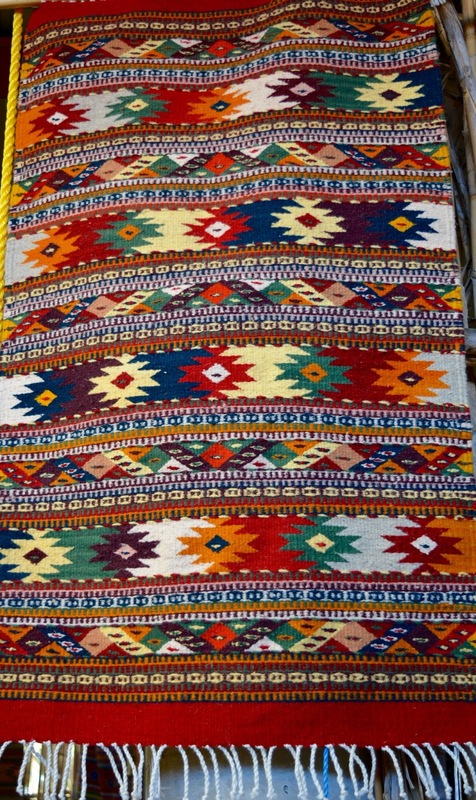 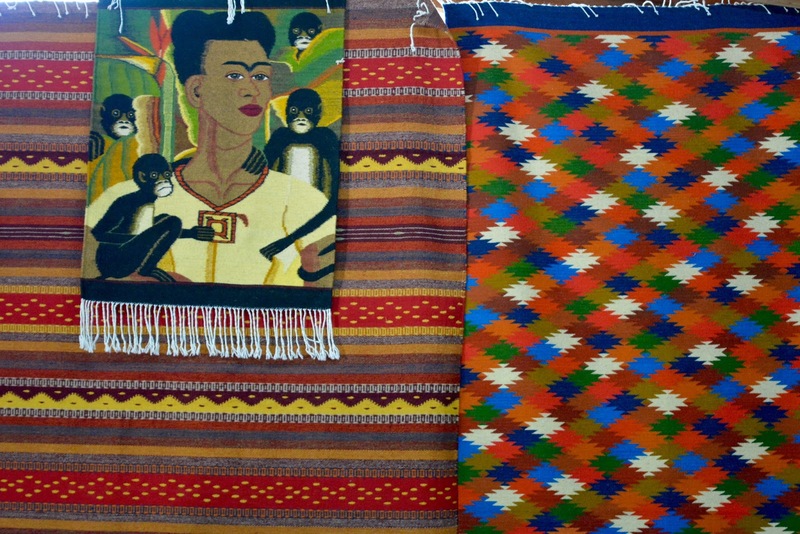 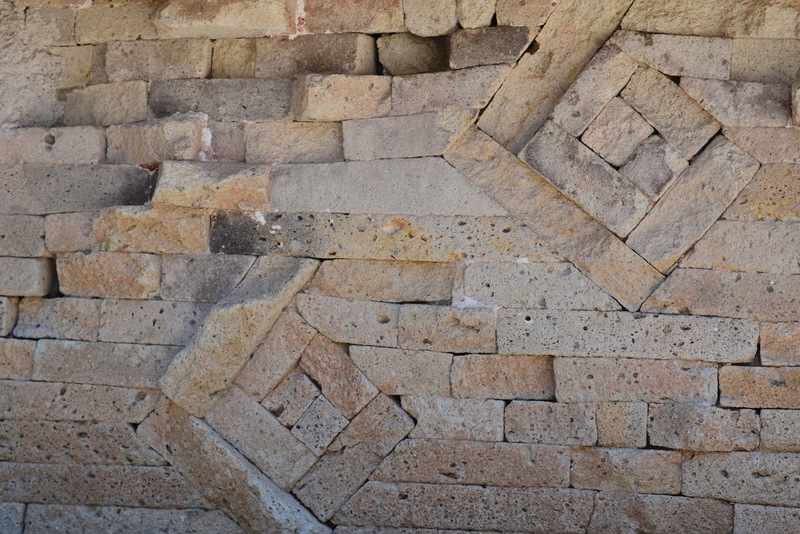 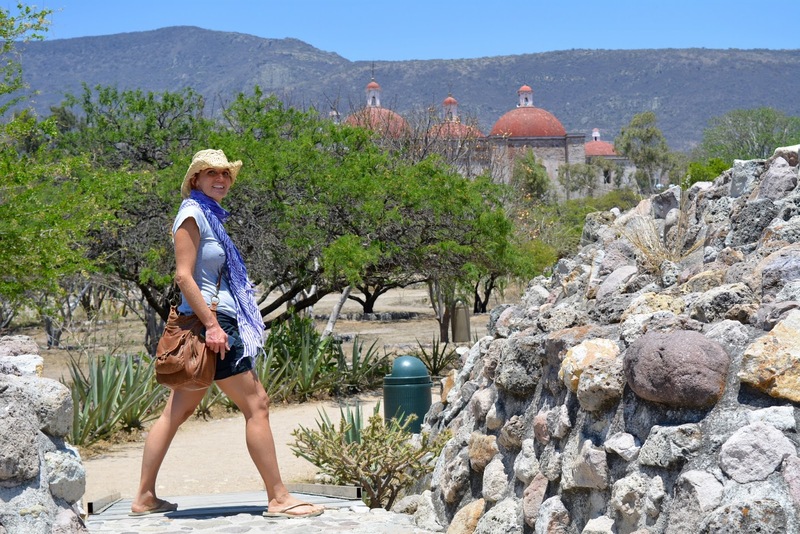 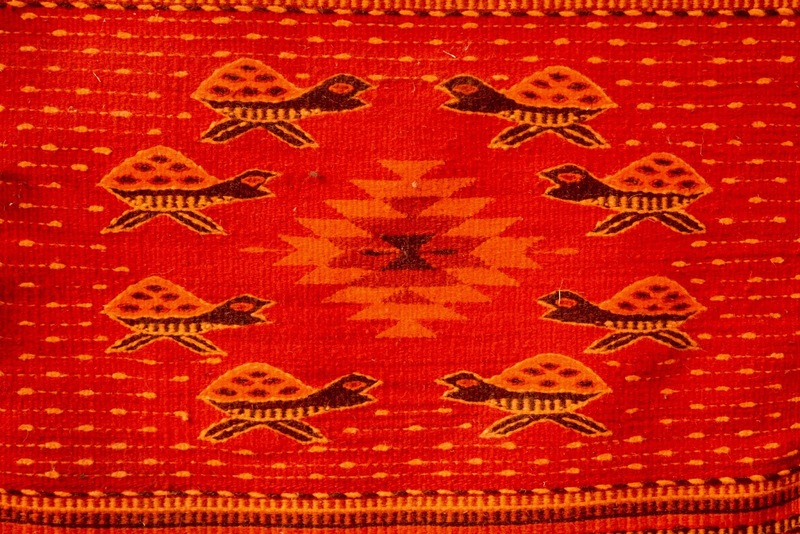 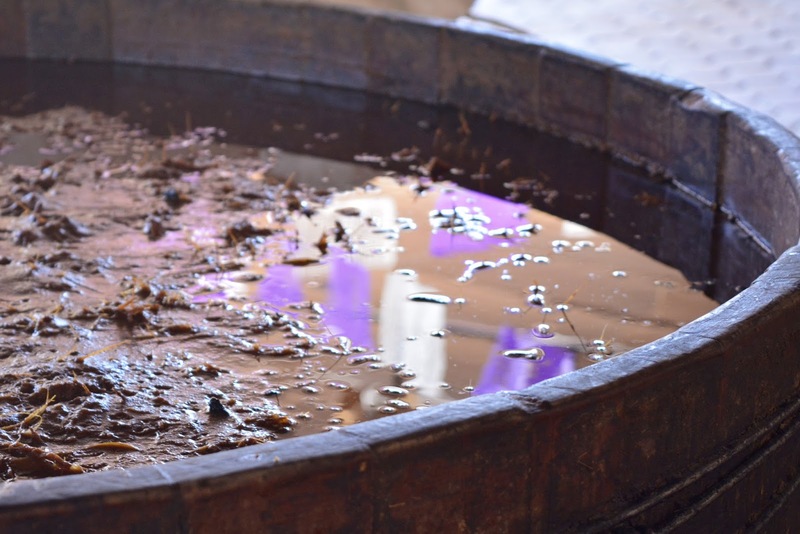 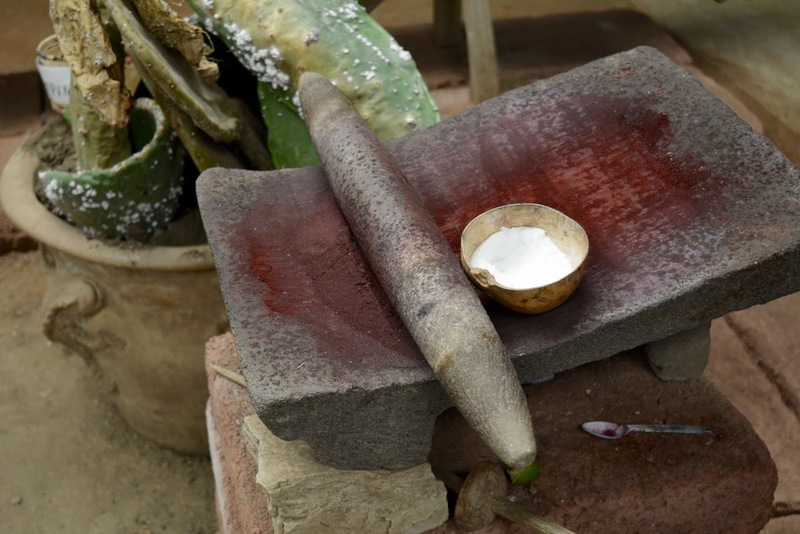 In one day we were able to visit several towns, archeological sites and artisan shops where we saw the famous, green glazed, black and red pottery, tapestries, wood carvings, embroidered and woven textiles and a mescal factory. 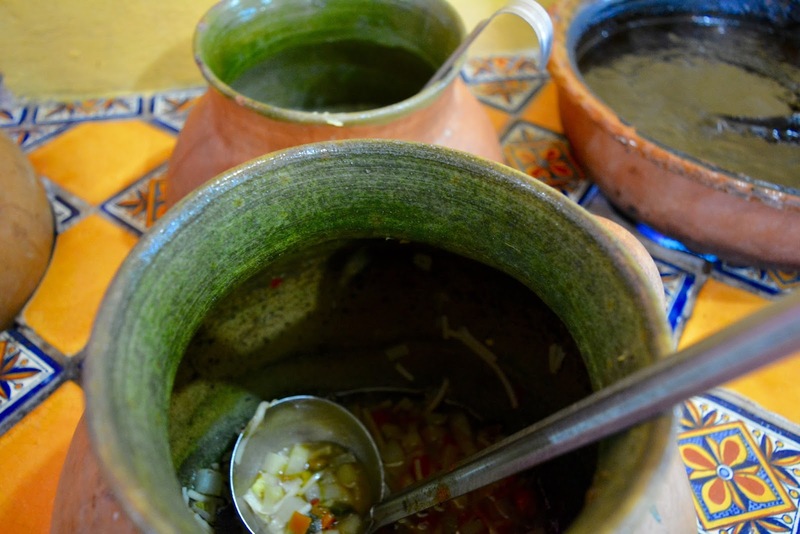 In addition we were fed a fabulous lunch and sampled several of the famous Oaxacan dishes that make the cuisine of this State some of the most popular in Mexico. 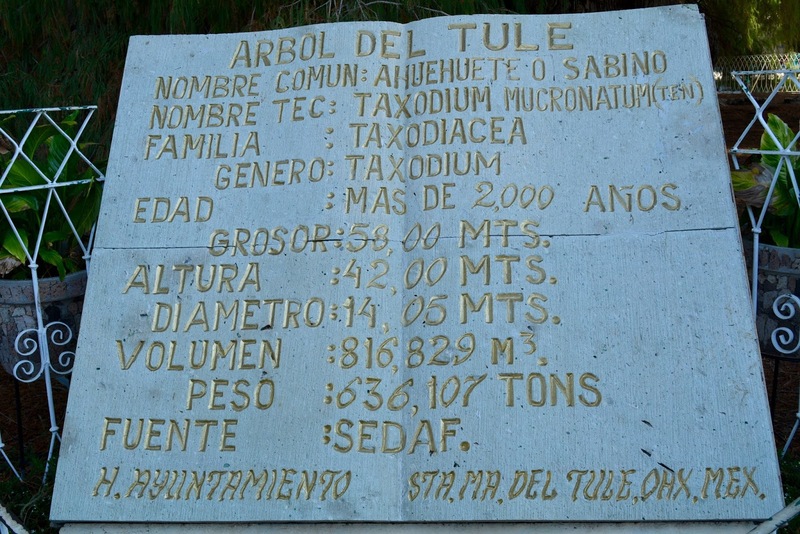 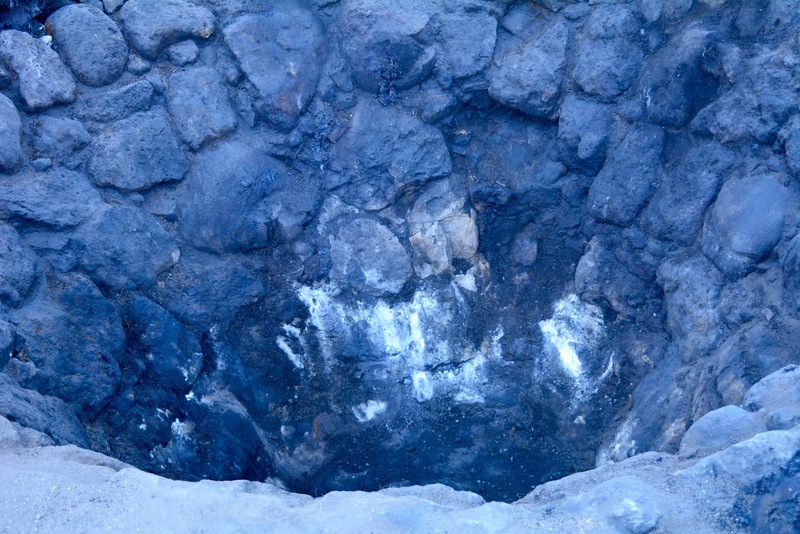 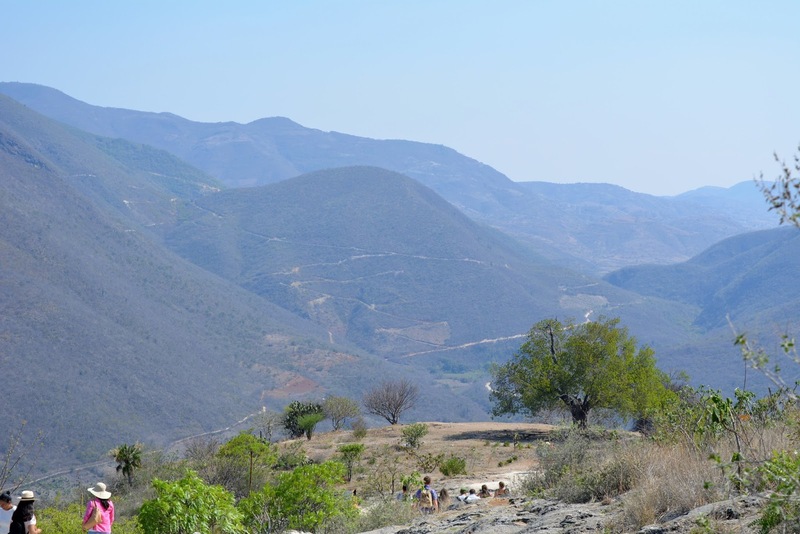 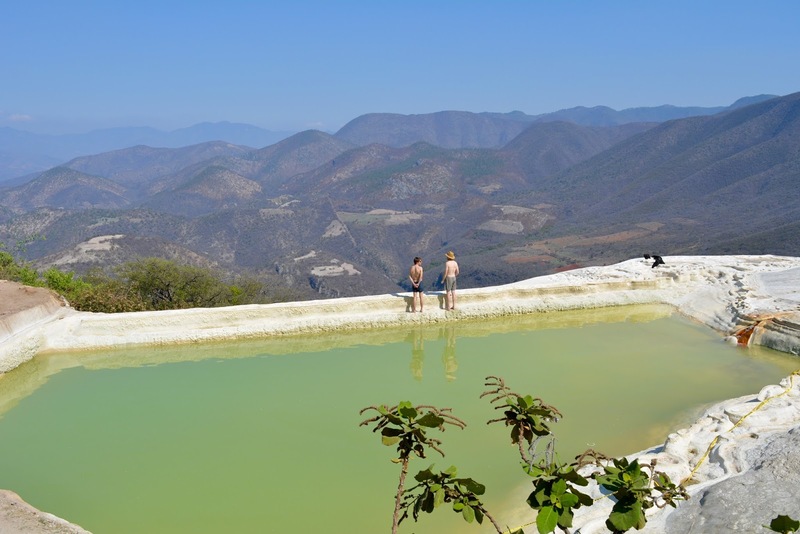 We visited Santa Maria del Tule where we saw the 2000 year old Tule tree and later we walked along a mountain ridge overlooking valleys and distant mountains to see a petrified waterfall and to soak in mineral pools high above the valley below. 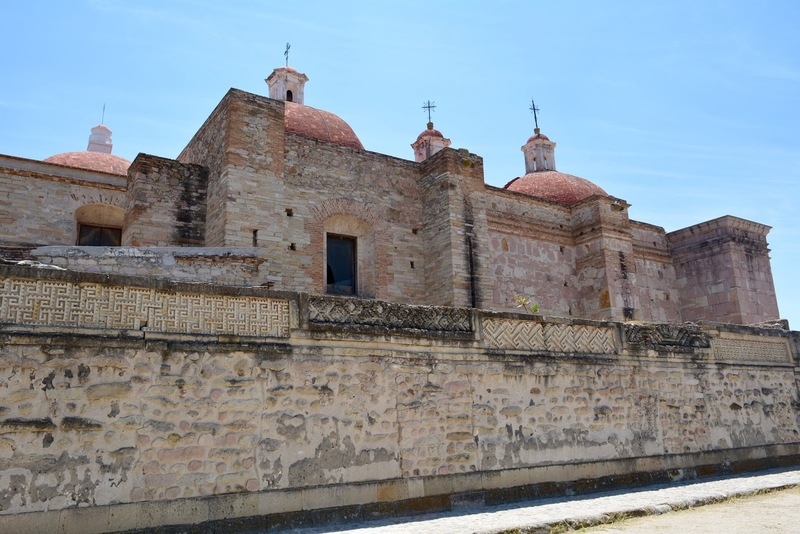 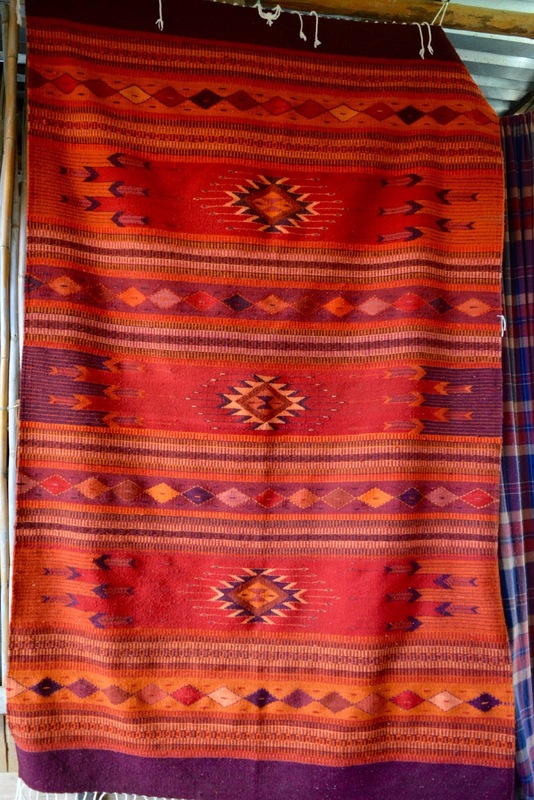 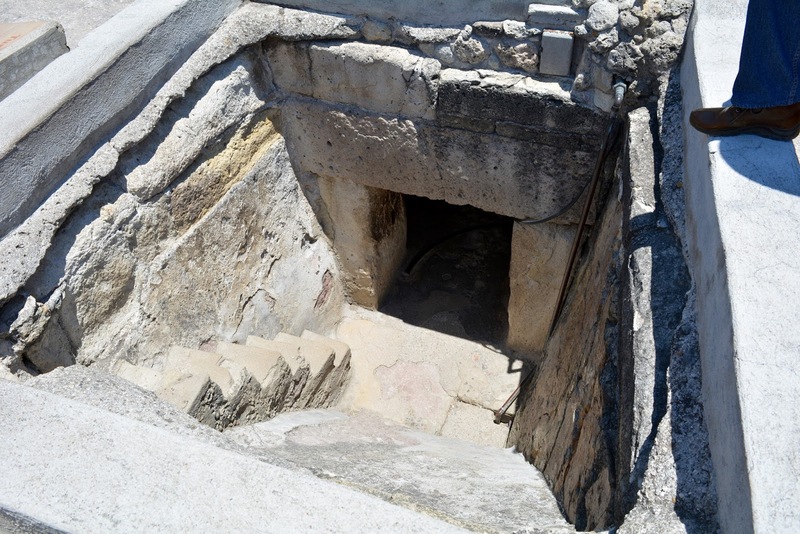 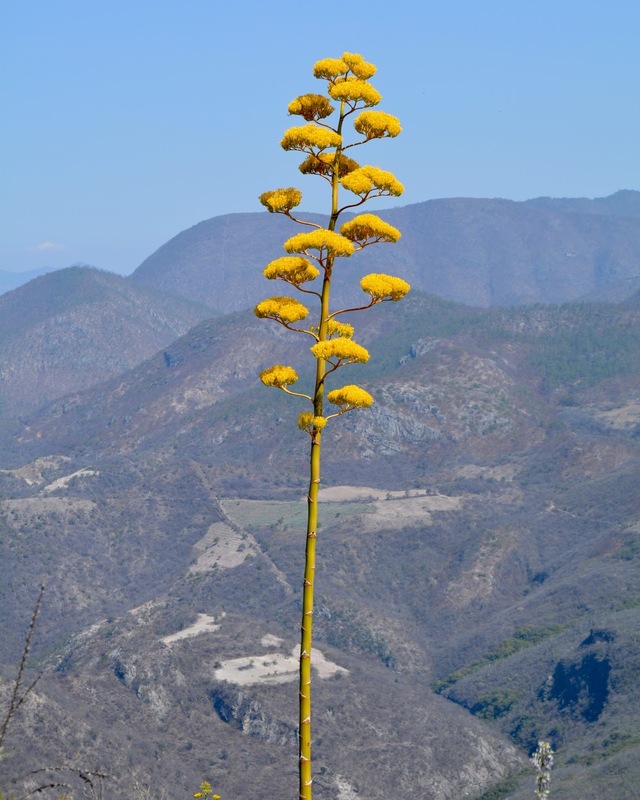 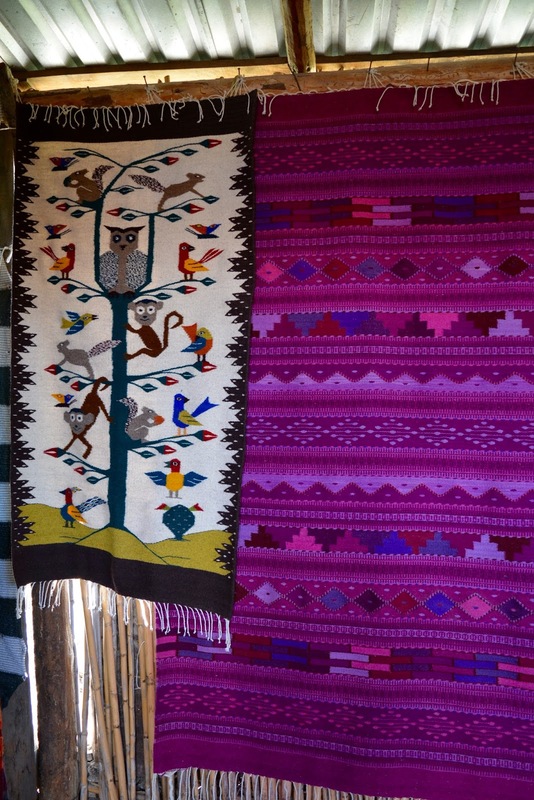 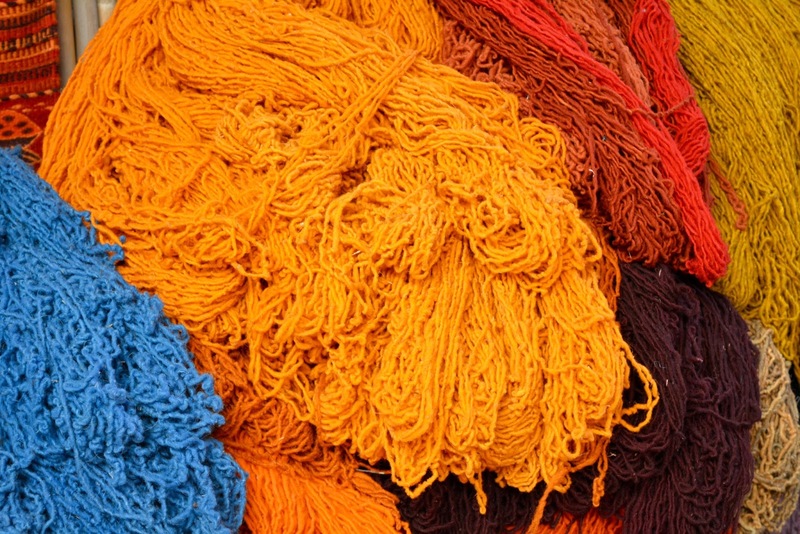 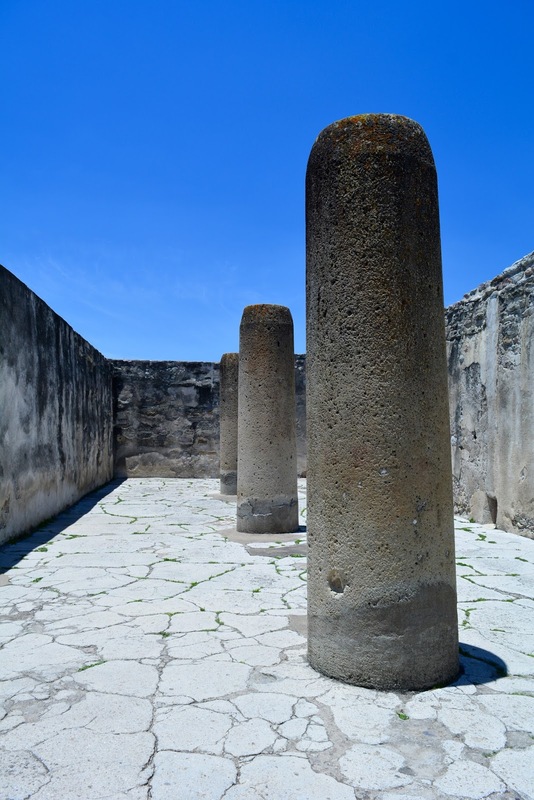 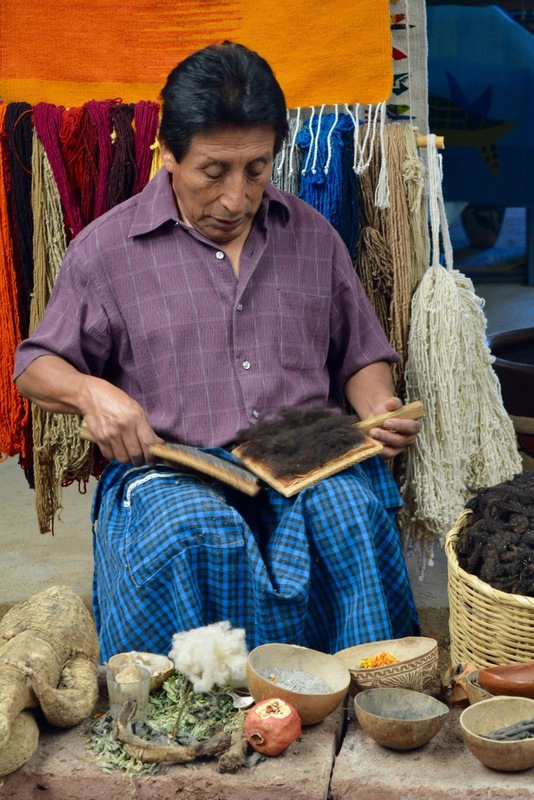 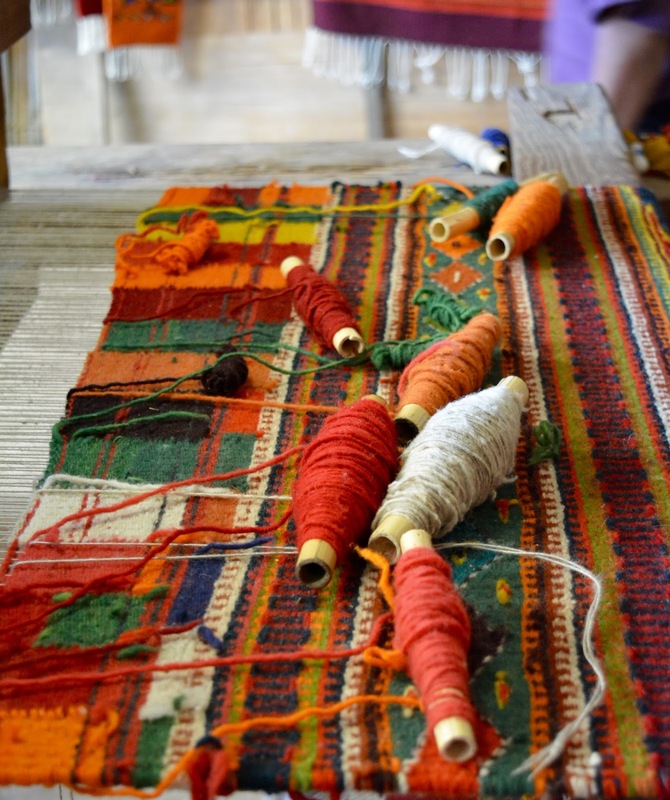 We followed the route to Mitla to see the ruins there and stopped along the way at Yagul and Teotitlan de Valle where we visiting a textile shop where they demonstrated the making of natural dyes used in weaving and embroidery. 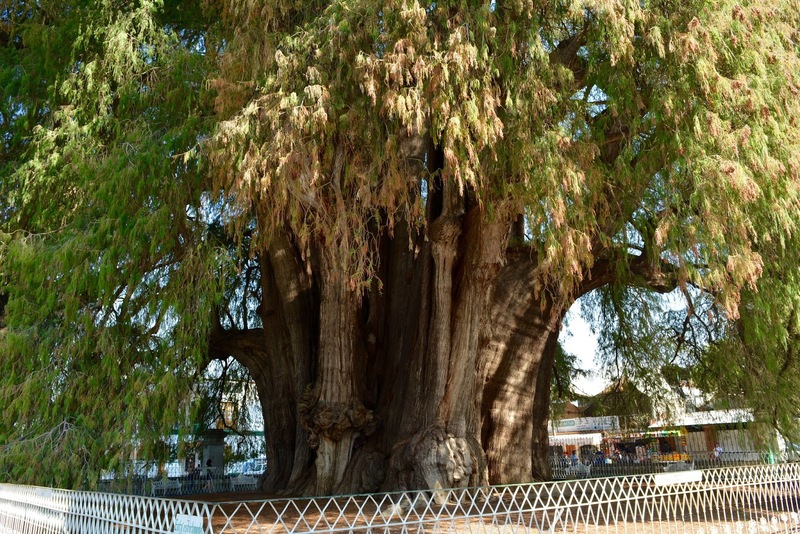 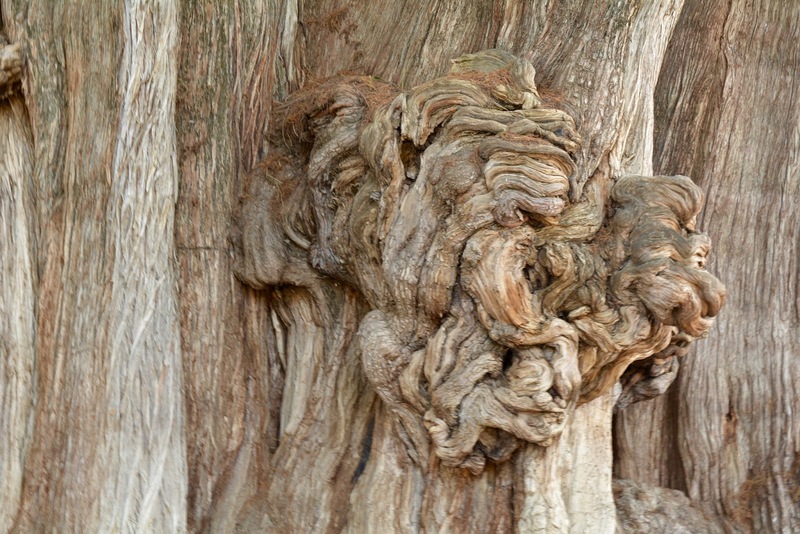 Santa Maria del Tule – the 2000 year old tree with faces and stories in the bark! 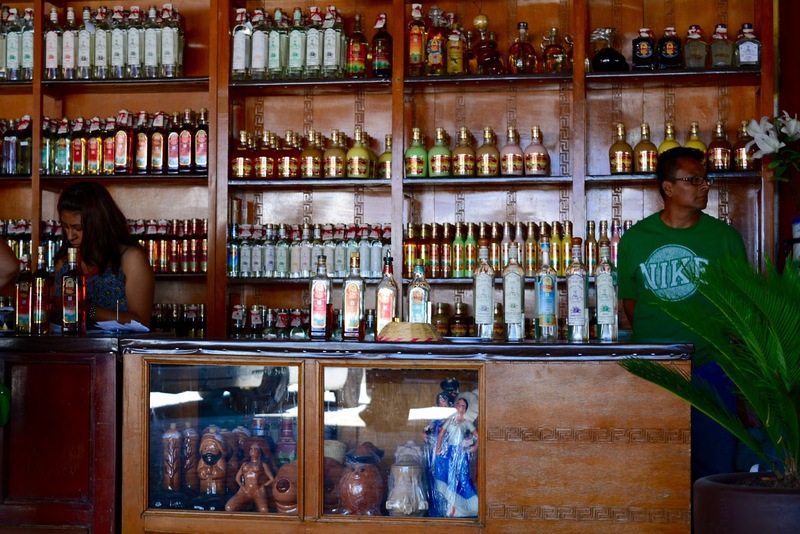 Part of the tour was this wonderful buffet style lunch at a roadside hacienda. 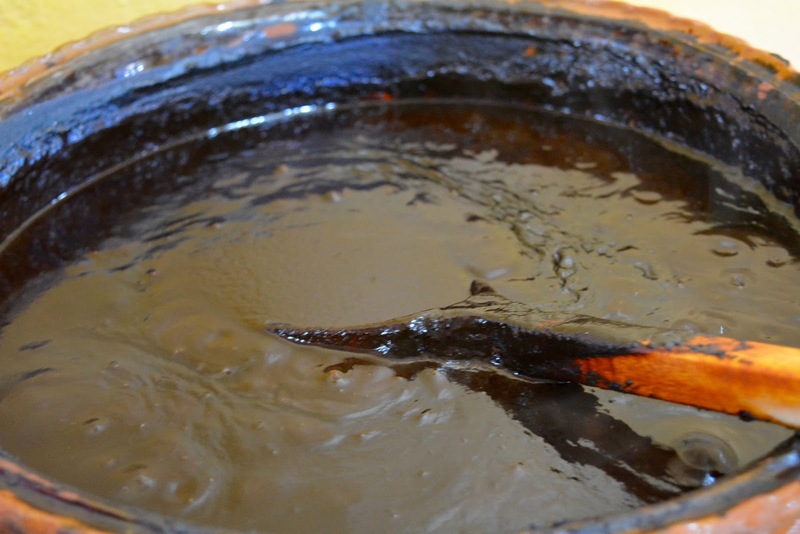 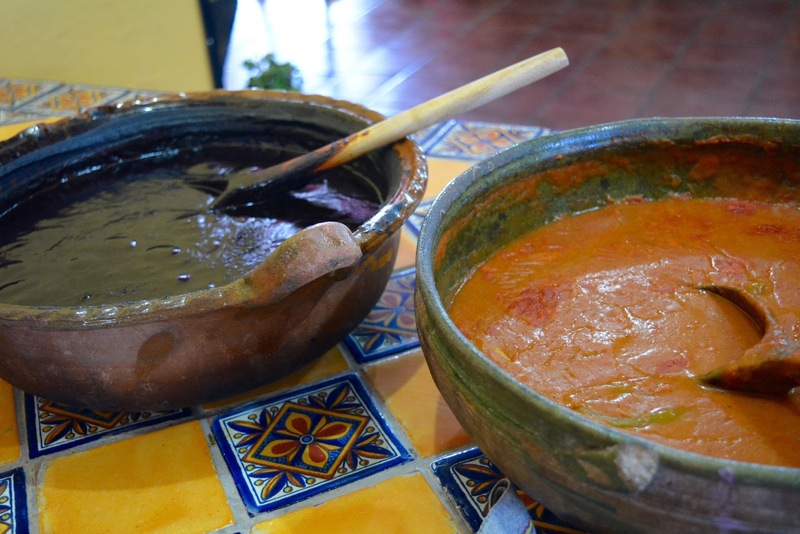 The food was the best of ingredients colour, spicing, texture and flavour that Oaxacan food has to offer. 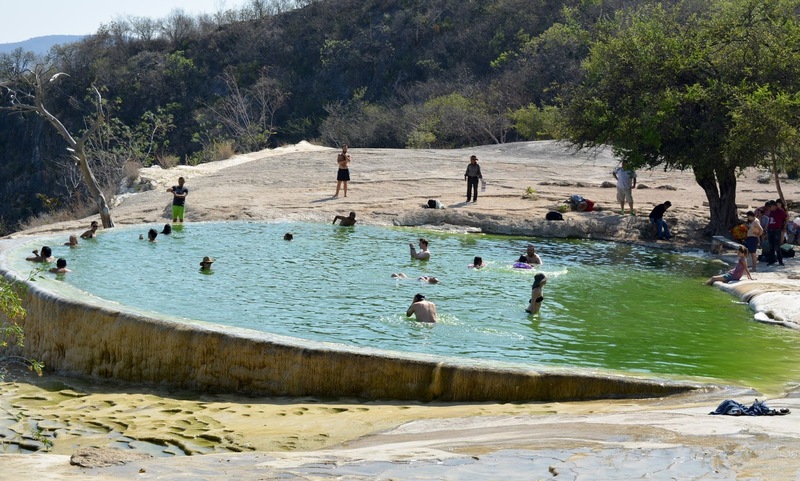 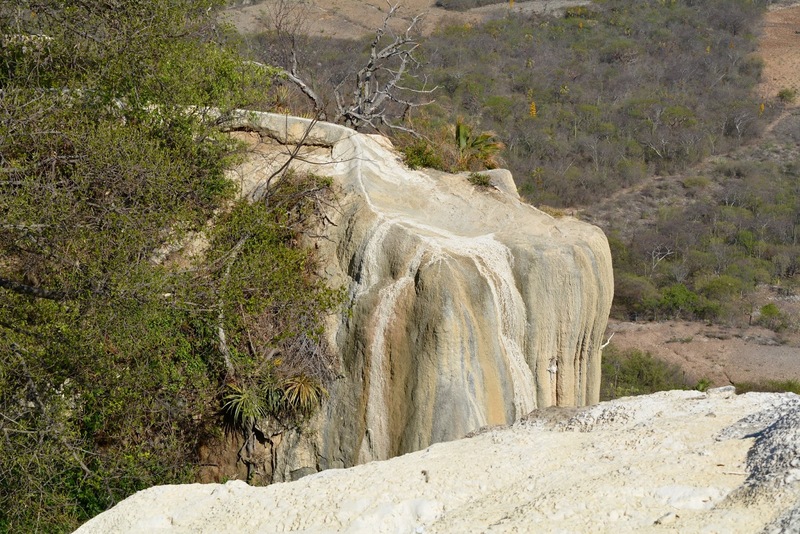 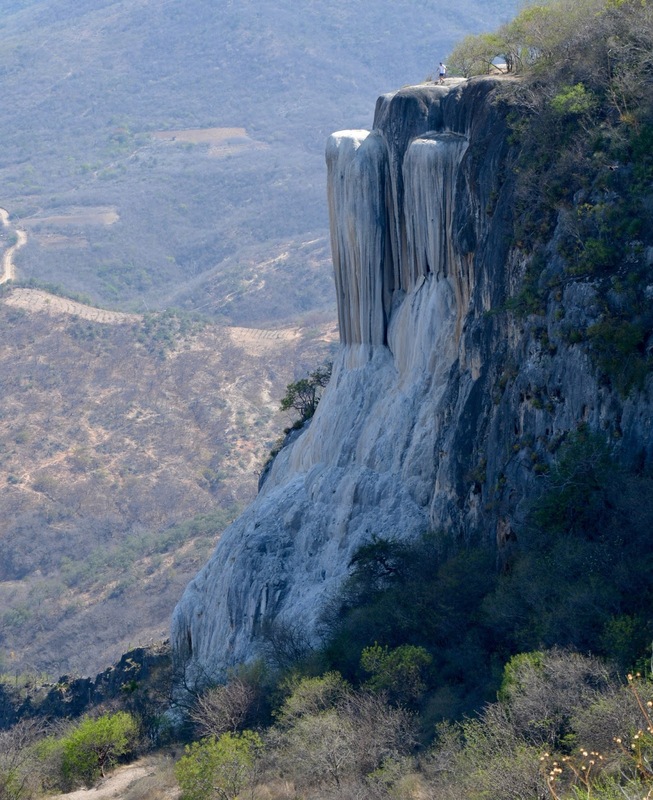 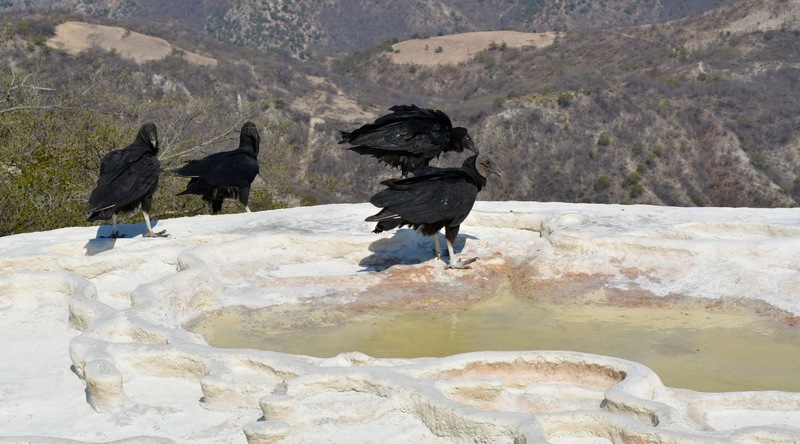 Spectacular vistas, mineral pools for cooling off and natural rock formations created by springs leaving deposits of minerals that overtime have created formations that resemble cascadas (waterfalls).